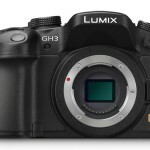 Panasonic recently announced the GH3, their latest flagship Micro Four Thirds interchangeable lens camera with a new 16-megapixel sensor, electronic viewfinder and lots of HD video options. 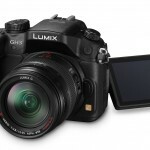 The Panasonic Lumix GH3 capitalizes on the popularity of its predecessor, the GH2, by expanding the video feature-set to attract more pro videographers. The GH2 was very popular with video pros – especially outdoor and action sports video shooters – because of its compact size, low weight and great video quality. So Panasonic added a plethora of new video features, including a headphone jack, MOV recording, a range of slow-motion capture options and a built-in intervalometer. The GH3 also has more processing power, dual OLED displays, improved controls, built-in Wi-Fi and a weatherproof magnesium alloy body. 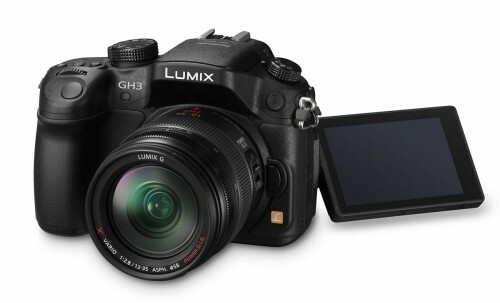 Reading the official press release, it’s clear the new Panasonic Lumix GH3 was designed to attract traditional DSLR users – especially professional videographers. Compared to the GH2, it’s got a larger (almost exactly the same size as the Canon EOS Rebel T4i / 650D), more rugged, weatherproof body with dedicated white balance, ISO and exposure compensation buttons next to the shutter release button; making it a lot more like a mid-range DSLR. 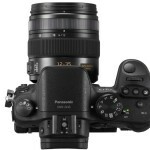 It has a redesigned 16-megapixel Four Thirds format Live MOS sensor and Panasonic says the image processing has been improved to produce “flowing gradation from shadows to highlights,” and noise has been reduced at every step – from sensor to output. It will be interesting to see what kind of quality Panasonic has been able to get from the much smaller Four Thirds sensor. 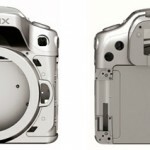 It’s a sure bet that it will be better than the GH2 and other recent Panasonic Micro Four Thirds cameras. But it’s a big stretch for it to compete with the current crop of full-frame HD DSLRS that produce totally useable photos and videos at ISO 6400 and higher. 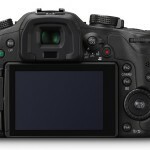 The GH3 uses OLED (organic light emitting diode) displays for both the electronic viewfinder (EVF) and the 3-inch tilt-swivel LCD display. I’ve had quite a bit of experience using cameras with OLED displays and the brighter, more saturated image quality makes shooting, browsing and sharing photos much more enjoyable. That might seem silly to people who haven’t used a camera with an OLED display but I believe it makes a real difference in the overall experience with a camera. Another feature I think is misunderstood and undervalued is the EVF. A few years ago electronic viewfinders weren’t that great but they’ve improved a lot and I believe they’ll replace optical viewfinders in the near future. The most obvious benefit of the EVF is the ability to see the same data in the viewfinder that you see on the rear display. 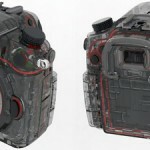 But a more important and less recognized benefit is that you can use the EVF while recording video and it provides a third point-of-contact, helping to minimize shake in handheld video. That’s something you can’t do with an HD DSLR unless you add an expensive (US $200+) optical viewfinder accessory to the LCD display. The GH3’s standard video recording is 1920 x 1080 (full HD) at 60p. I won’t pretend to understand all the video upgrades Panasonic gave the GH3 but, as already mentioned, they’ve clearly targeted video pros with their new flagship camera. In the press release, they make it a point to say, the “DMC-GH3 handles the wide variety of recording formats, frame rates, and bit rates that are used by broadcasting stations and production studios.” Previously, the Panasonic Micro Four Thirds cameras only recorded in the AVCHD format but the GH3 can record in .MOV as well as AVCHD. There are also a wide range of resolution and frame rate options, including multiple high-speed recording options for slow motion playback. Note that the standard frame rate for full HD is 60 frames-per-second (progressive) – that’s faster than any Canon or Nikon DSLR can do at full HD. The GH3 also includes built-in intervalometer controls for easy time-lapse shooting at no extra cost. Full exposure control (P, A, S, M) is available in movie mode, as are scene modes and Panasonic’s excellent iA (Intelligent Auto) shooting mode. For audio, there’s a built-in stereo microphone, external stereo mic input and a headphone jack for monitoring sound while recording. You can also use the camera’s HDMI terminal to view live video or playback recorded video on an external monitor. Last but not least, the new Panasonic Lumix GH3 is one of a growing number of cameras that has built-in Wi-Fi (IEEE 802.11 b/g/n) with an available Smart Phone / tablet app. Wi-Fi connectivity is becoming fairly common in point-and-shoot cameras but not so much yet with interchangeable lens cameras. If memory serves correct, Canon, Sony and Samsung are the only other camera makers to offer Wi-Fi in an interchangeable lens camera, putting the GH3 in a pretty exclusive club. Panasonic’s Lumix Link app is available for iOS and Android mobile devices. It allows you to transfer images (including RAW) wirelessly, add GPS data to photos and control the camera wirelessly, making exposure adjustments and viewing through the viewfinder on your Smart Phone or tablet. 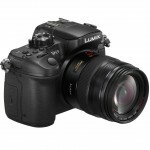 You can even control the zoom, given you’re using one of Panasonic’s power zoom lenses. 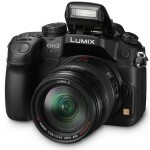 The popularity of the Panasonic Lumix GH2 among serious and professional videographers was a surprise and it will be interesting to see if Panasonic can repeat and even elevate it with the GH3 – especially since it has to compete with a big batch of excellent new full-frame DSLRs, including the Canon EOS 5D Mark III, Nikon D800 and Sony’s new Alpha SLT-A99, which also has an EVF. 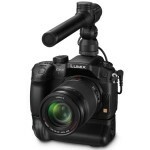 Price and shipping date for the Panasonic Lumix GH3 were not included in the press release but the Panasonic Web site says it should be available by November 30th at a suggested retail price of US $1299.99. To complement the GH3, Panasonic also announced a new vertical battery grip (DMW-BGGH3), a new flash with integrated LED light (DMW-FL360L) and a new stereo shotgun microphone (DMW-MS2). I would like to know what MOV is? How would you apply this setting? The .MOV setting is a video format. You should be able to switch between the AVCHD and .MOV formats in the movie mode settings. Do you own the GH3? I believe the .mov setting is a quicktime native format. So it should import directly to FCP and anything else using QT as it’s format for editing software. The AVCHD is too high a compression for my liking, so the .MOV format is a welcome addition.